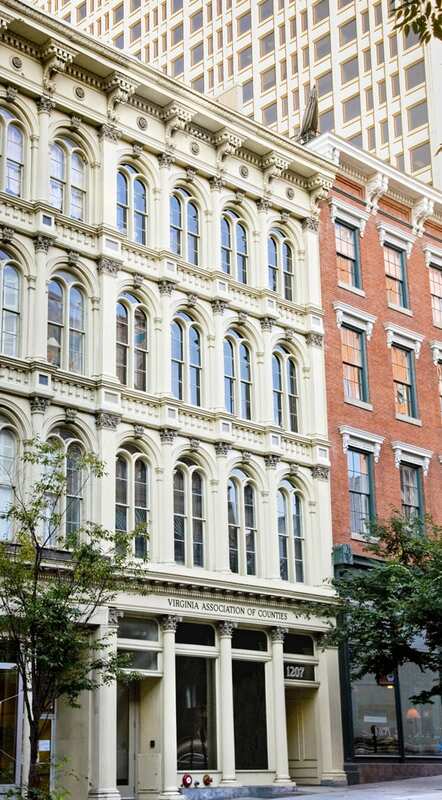 VACo has a home to call its own for the first time since the association moved its headquarters from Charlottesville to Richmond in 1985. VACo moved into 1207 East Main Street in April 2009. The renovation of historic building took approximately 15 months. Our new place is about 20,000 square feet. We occupy the third and fourth floors. There’s an elevator. There’s a kitchen. There’s a conference room big enough for any steering committee meeting. But perhaps what makes us most proud is the fact our new home was given a gold certification by the Leadership in Energy and Environmental Design. It is one of the greenest buildings in downtown Richmond. Come visit us as soon as you can. We’ll be happy to show you around.